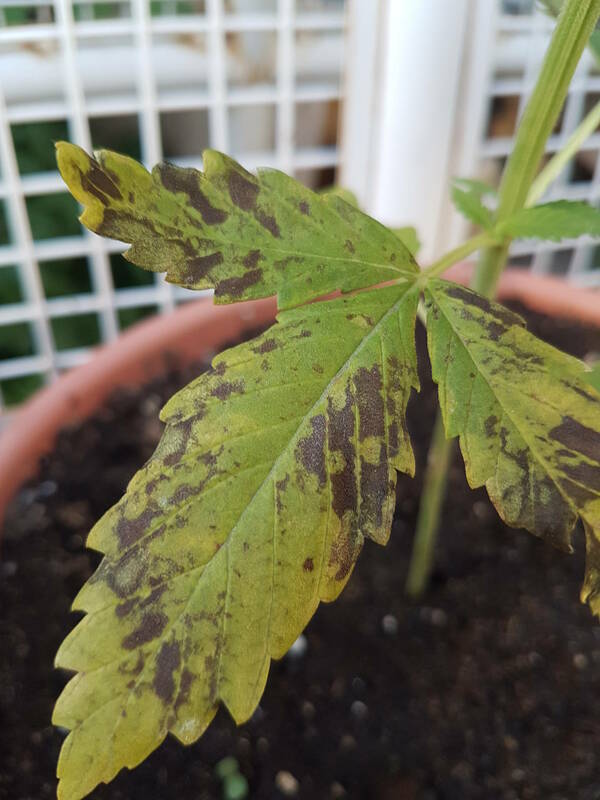 First time grow - splotchy yellow-brown leaves. I've just today added - Bone Meal, watered with epsom salt mix, and mixed a new top layer of soil with all purpose fertilzer. Generally I water until it drips through the pot a little, and then leave it for few days, and water again. Bone Meal, Epsom Salt, and All Purpose Fert. Day hits up to 35C (95f), down to 10C (50f) at night. 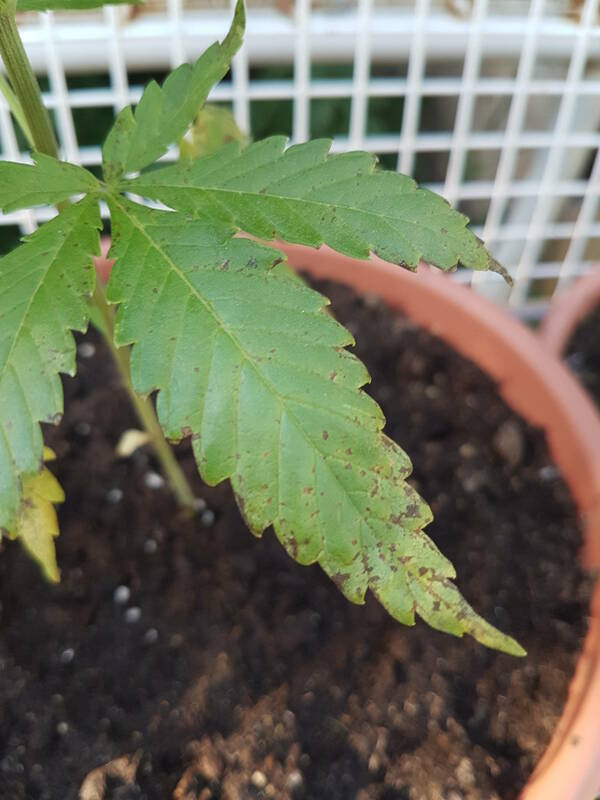 I am a noob, backyard, first time grow, just been winging it, and it's been going great; but just the other day it seemed to take a turn for the worse. 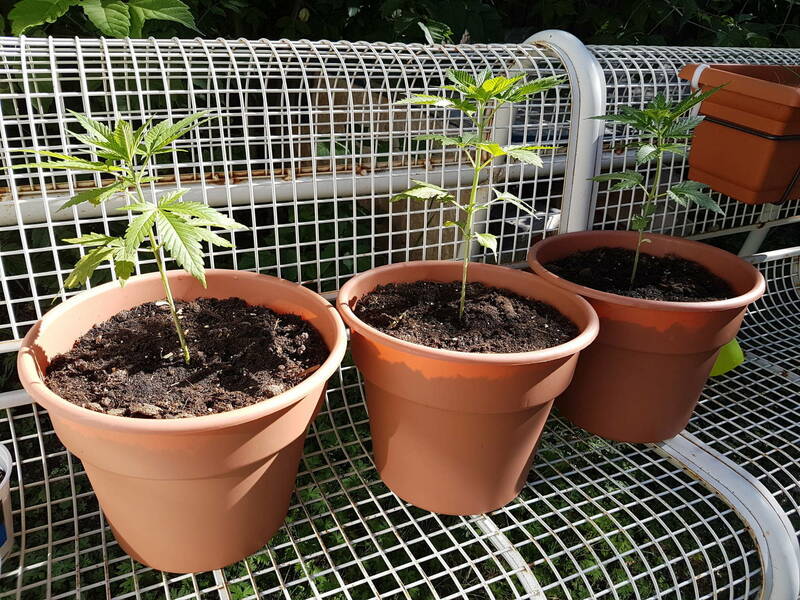 I transplanted last week. been watering, since then a bit, no food. I realise I am lacking a lot of essential info; I was hoping this is just a common issue that is easily identified. Thanks for the help! Fertilizer burn is my best guest. This was prior to even using any. You think it was because of regular potting soil? Is it just one plant or are they all doing this? 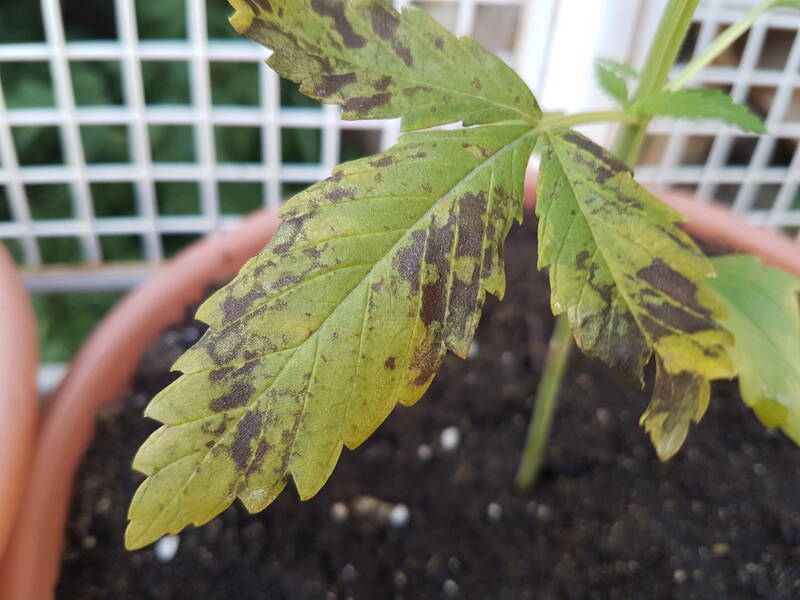 Very rich potting soil could cause this issue but I'm just guessing. That's a great question, because they all did it, around the same time. Interesting; perhaps the no-name soil is just too over-powered. It's interesting though, since I added my fertilizers and such, and SOAKED the buggers through once, they seem to have relaxed on the damage. I'm going to give them another fat water; and see how they go. Can I cut off the bad leaves? 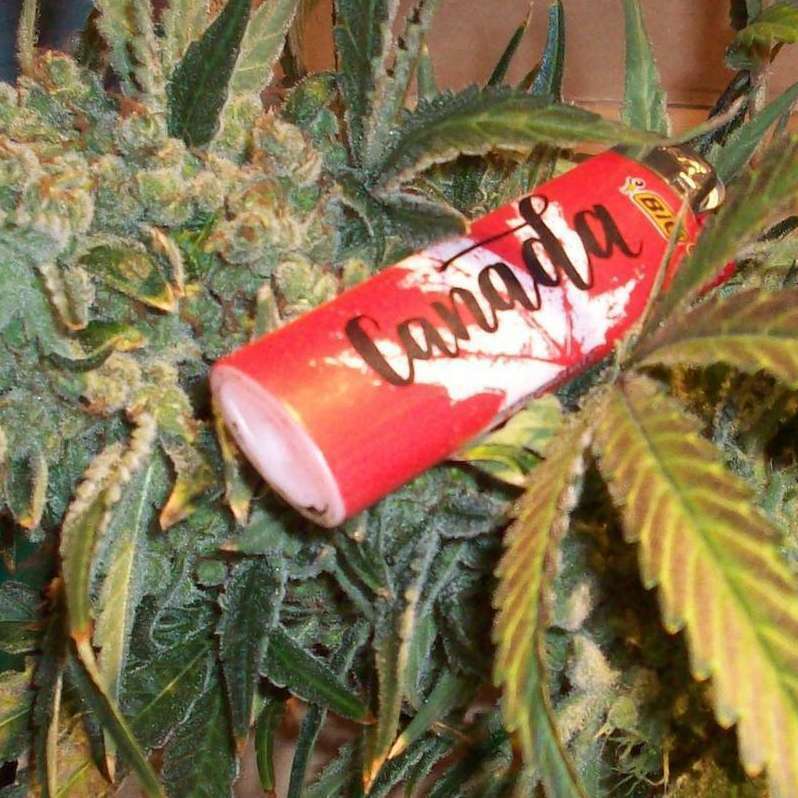 Go ahead and trim the bad leaves. 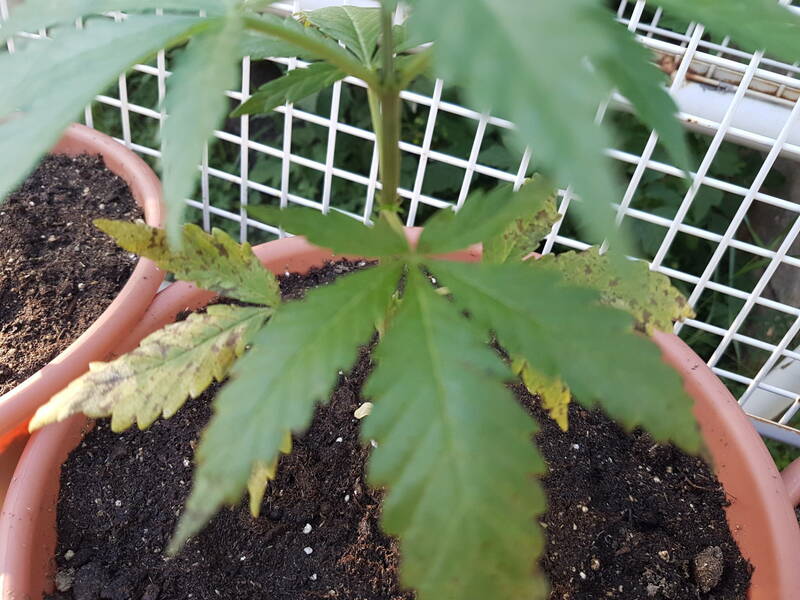 That looks like pest problem coupled with a nutrient deficiency. I would bet its pest though is your main problem. Don't cut leaves unless you see bug eggs. 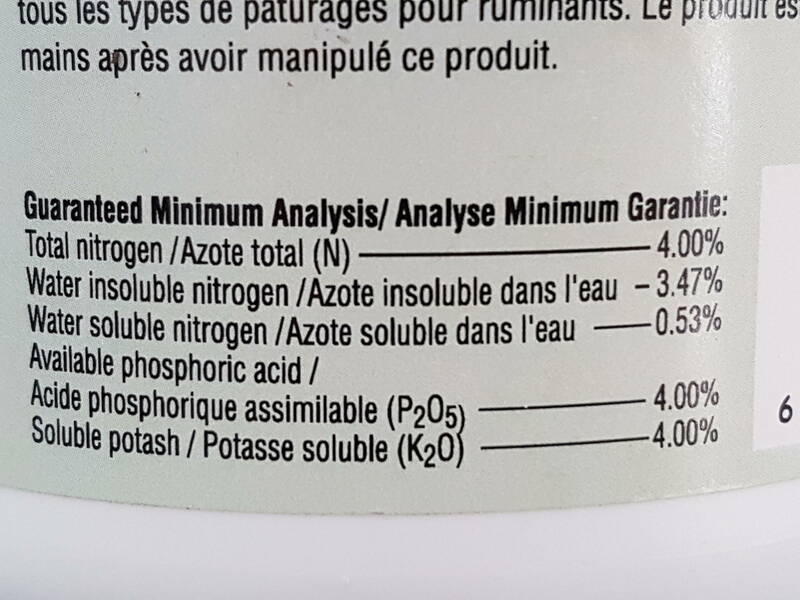 Plant will naturally metabolize nutrition from old leaf growth. It's nutrition burn as far as the bugs spray with neems oil and problem solved. Neems oil is in any gardening supply place. GL! 508 topic views. 2 members, 60 guests and 90 web crawlers are browsing this forum.